Sefer ha-Niqud. Kabbalistic work by Joseph ben Abraham Giqatilia. ספר הנקוד / למקובל האלקי מהרר″י גיקאטילייא זלה″ה בעל ספר שערי האורה. Sefer ha-Niqud. 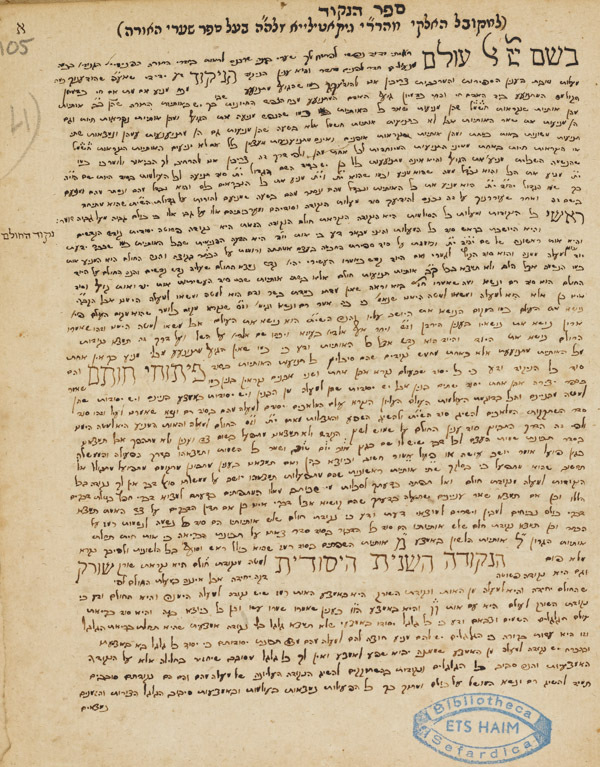 Kabbalistic work by Joseph ben Abraham Giqatilia, copied by Pinhas Bemali (? ), c. 1760. Hebrew / Paper / 20,9 x 16,9 cm. / 6 ff. / Very small Ashkenazic cursive writing with square headings.